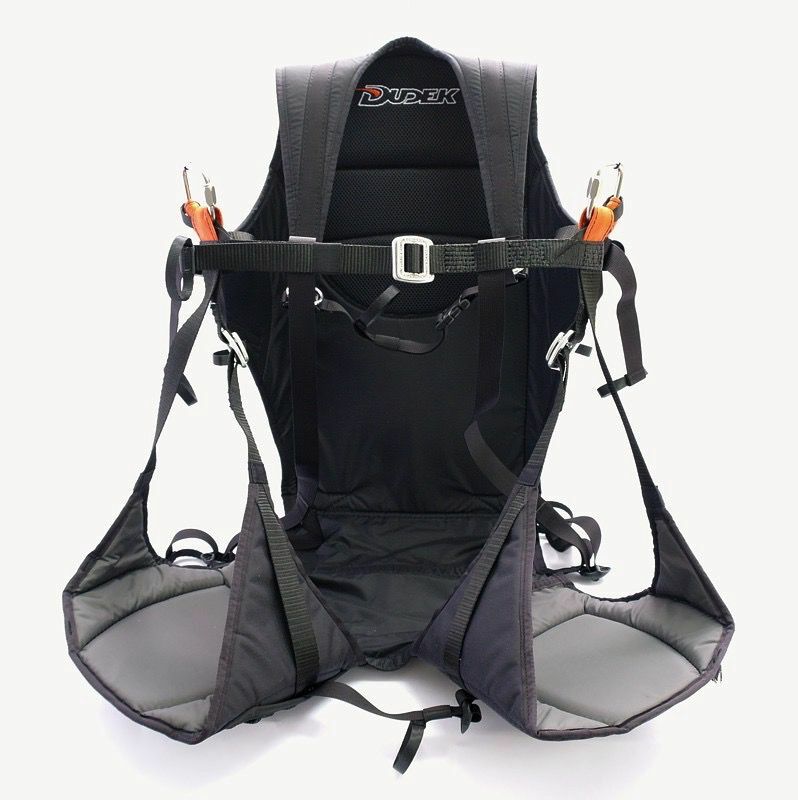 Dudek Zig Seat with fast bag ZigSeat harness was essentially designed for speedriding, but can be used for speedflying too. It is a reversible harness/backpack i.e. when turned inside out after landing it becomes a 43l backpack to keep the speedriding canopy. 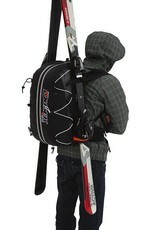 During flight or ski ride the backpack will form a big pouch on the back of the harness. Carefully designed geometry of the seat and back support as well as employing light and strong materials resulted in low weight (1300 g without carabiners), so that ZigSeat will be great for long treks in high mountains. 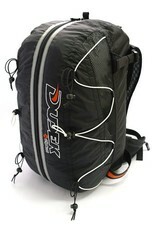 Breathable 3D net incorporated in the carrying system of the backpack markedly improves comfort of the bearer. The harness is a one-size-fits-all product. 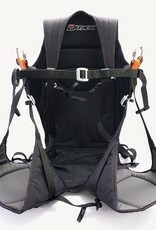 Height of the back support can be precisely adjusted to the pilot's height. Despite simple and light design the ZigSeat harness/backpack has all necessary adjustments and is surprisingly comfortable. ZigSeat is equipped with a dedicated fastbag. 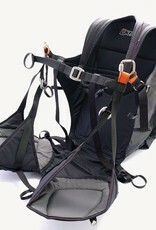 It is there for fast packing the wing without necessity of separating the risers from the harness. During ski-lift ride you can clip it with associated carabiner to the left or right shoulder strap of the harness. 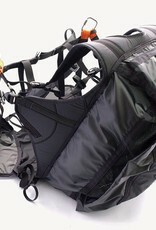 After spreading the wing, its fastbag can be stored in the mesh pouch under right side of the harness. 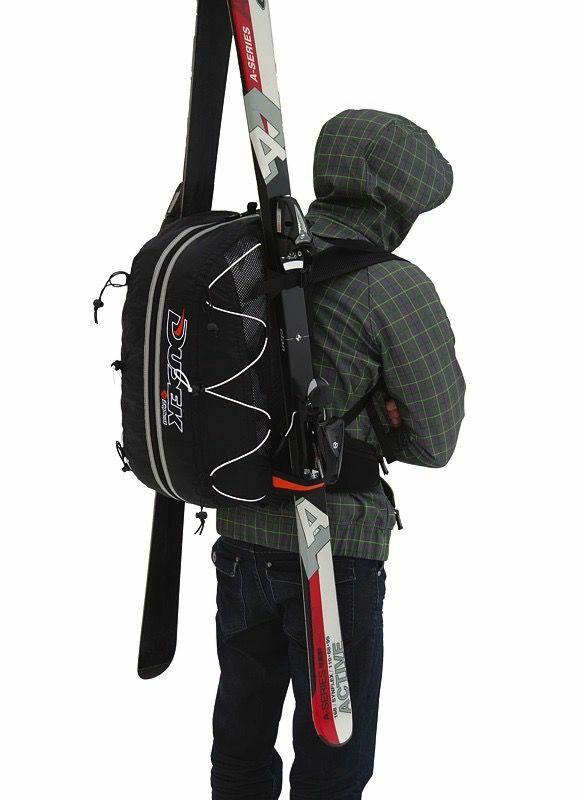 ZigSeat differs from ZakoSeat2 by having ventilated backpack (mesh on the sides), longer arm pads, and the backpack has loops for the skis. 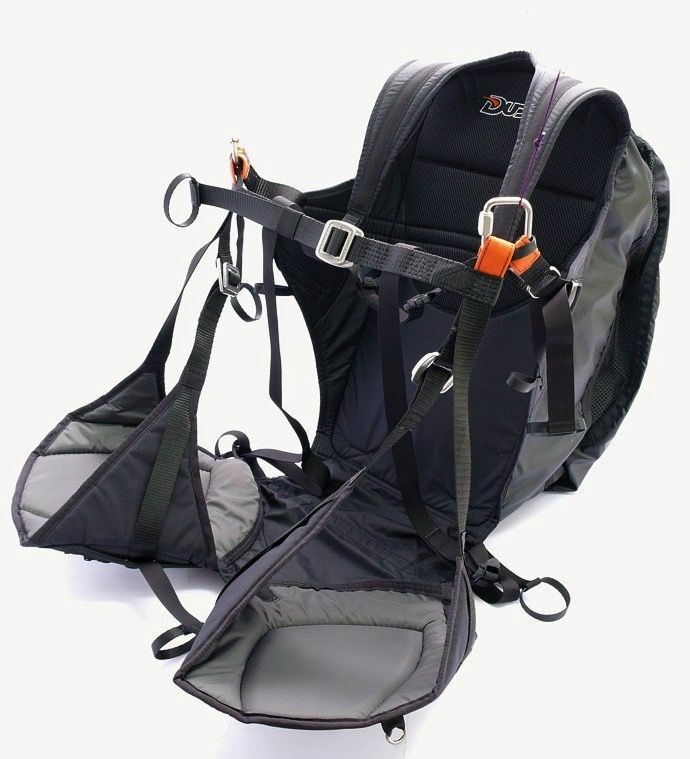 Another important of the harness is the quickpack and quickpack-optimalized harness - it provides attachment points and a pouch for the quicpkack under right side of the seat. Considering all that, ZigSeat weighs a bit more. 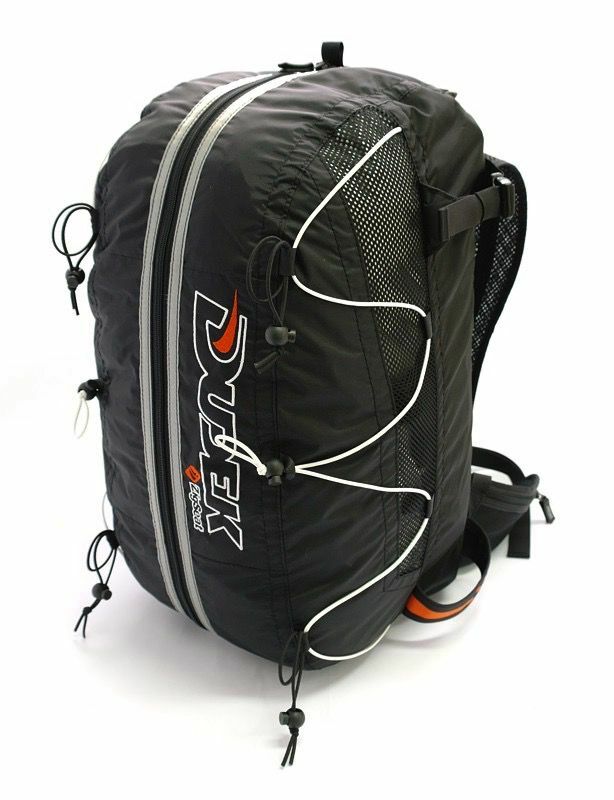 Other than that, the seating depth, height of the back support, backpack volume and strap system remains the same in both harnesses. 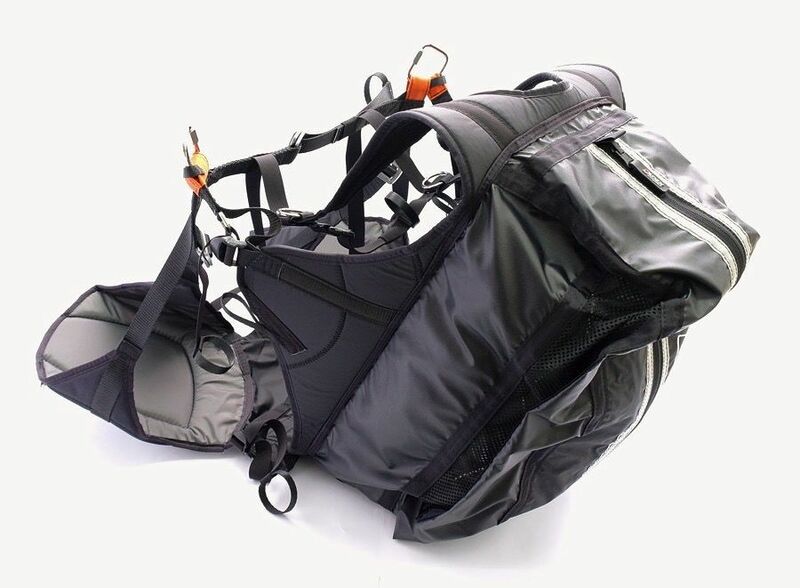 Cloth: Poliamid/Cordura Colour scheme: black/grey Straps: Polyester/Polyamide Buckles: AustriAlpin Plastic parts: ITW The harness is sold without the carabiners.